The most frequently rehearsed and performed songs from the January 1969 Get Back / Let It Be sessions. 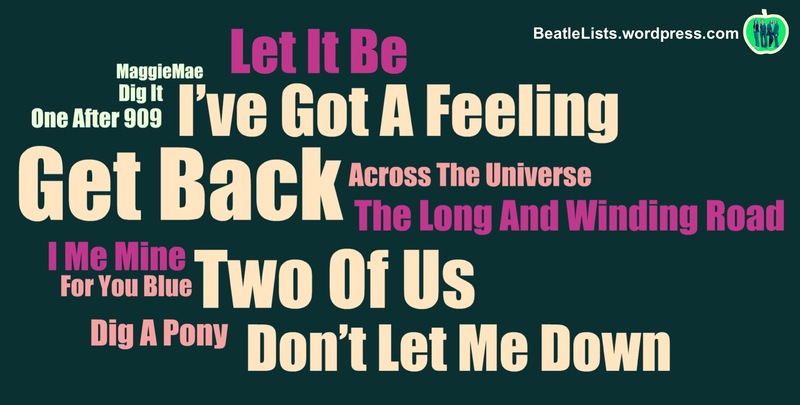 This list only includes songs that were eventually released on the Let It Be album and accompanying Get Back single. 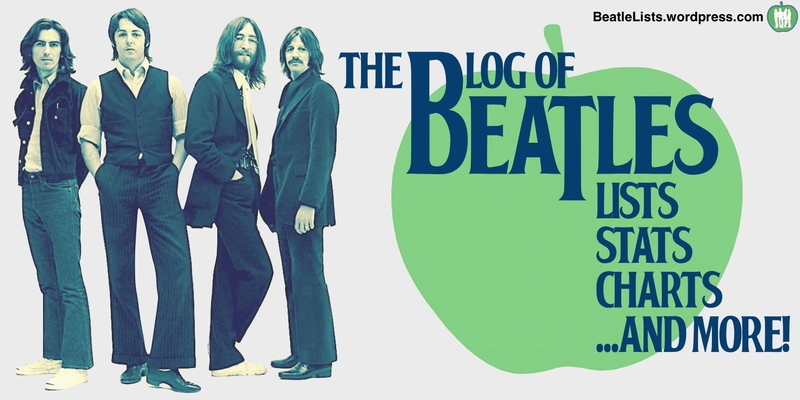 Songs that were eventually recorded for either The Beatles’ Abbey Road album or several post-Beatles solo albums would require separate lists. The versions of I Me Mine and Across The Universe that appear on the Let It Be album were not recorded at these sessions but both were frequently attempted in the early days of the sessions and clips from these attempts were included in the final cut of the Let It Be film. Numbers are based on Sulpy and Schweighardt’s original exhaustive research from 1994 as I haven’t been able to consult their 2007 revisions. This remains the most comprehensive work on the subject but some numbers may still be misleading and need to be understood in context. Some separately listed ‘performances’ represent the available fragments of what may be the same actual performance, some are merely false starts or run-throughs of particular segments The Beatles were attempting to perfect and there are undoubtably additional performances of many songs that have not yet become available.